the new ERGON series of packaging machines? Brau Beviale, of course. the newer secondary packaging machines by SMI are equipped with almost exclusively brush-less motors. To find out the many benefits of the ERGON series, we invite you to pay a visit to SMI stand by using the B335808 code to get a free entrance ticket to Brau Beviale after registering on-line. 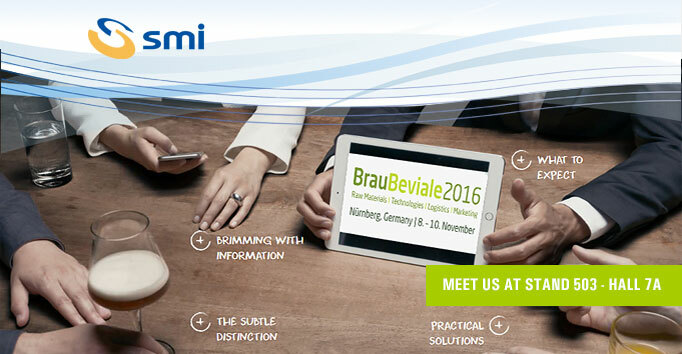 Do not hesitate to arrange an appointment with our staff at Brau Beviale from 8th to 10th November. We will be glad to inform you about the latest innovations in the packaging sector. We look forward to meeting you at our stand 503-Hall 7A at Brau Beviale!